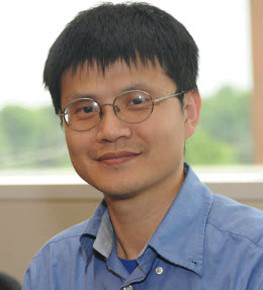 Wenwei Huang joined NIH in 2006. As a lead chemist, he has worked in various therapeutic areas, including oncology, neurological disorders, inflammation and infectious diseases. Through a collaboration with New York University, Huang developed a series of RORg inhibitors that was licensed to Orca Pharmaceuticals. Before joining NIH, Huang worked at ArQule, where his research focused on high-throughput chemistry. Huang received his Ph.D. from the University of Toronto and conducted his postdoctoral research at Emory University. Huang is interested in medicinal chemistry and high-throughput chemistry. His current research focuses on developing drugs that block malaria transmission. Emetine inhibits Zika and Ebola virus infections through two molecular mechanisms: inhibiting viral replication and decreasing viral entry. Efficient Synthesis of 1,9-Substituted Benzo[h][1,6]naphthyridin-2(1H)-ones and Evaluation of their Plasmodium falciparum Gametocytocidal Activities. Novel lead structures with both Plasmodium falciparum gametocytocidal and asexual blood stage activity identified from high throughput compound screening. Identification of small-molecule inhibitors of Zika virus infection and induced neural cell death via a drug repurposing screen.